In order to meet the urgent needs of portable and flexible devices in today’s society, it is strongly demanded to develop a next-generation, low-cost, flexible, lightweight, and sustainable supercapacitor system with high electrochemical performance and good operational safety. Here, a new type of highly flexible and lightweight all-solid-state supercapacitor is developed by using the freestanding and highly porous nanohybrid aerogel films consisting of carbon nanosphere fibers (CNPFs)/molybdenum disulfide (MoS2)/reduced graphene oxide (RGO) as electrodes and using H2SO4/polyvinyl alcohol (PVA) gel as electrolyte. The CNPFs/MoS2/RGO nanohybrid aerogels are prepared by one-step pyrolysis of the nanocellulose fibers (NCFs)/MoS2/graphene oxide (GO) aerogels obtained via freeze-drying process. During the pyrolysis process, the NCFs is carbonized to CNPFs and the GO is thermally reduced to RGO. The as-prepared all-solid-state flexible supercapacitors exhibit high specific capacitance of 1144.3 F g−1 at 2 mV s−1 with good cycling stability of more than 98% of the capacitance is retained after 10,000 charge–discharge cycles at a current density of 5 mA cm−2. Moreover, they can deliver high energy density and power density which are up to 57.5 µW h cm−2 (28.8 W h kg−1) and 29.1 mW cm−2 (14.5 kW kg−1), respectively. 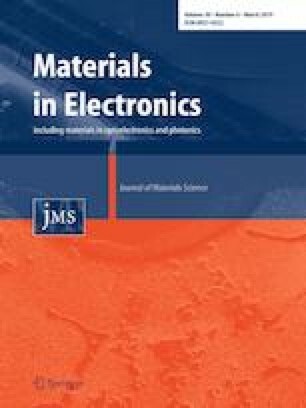 Therefore, we provide the highly porous CNPFs/MoS2/RGO nanohybrid aerogels with characteristics of superior electrochemical performance, remarkable bending stability, environmental friendliness and low cost will be a potential promising electrode material for highly flexible all-solid-state supercapacitors. The online version of this article ( https://doi.org/10.1007/s10854-019-01180-9) contains supplementary material, which is available to authorized users. We are grateful for the support of the Key Science and Technology Project of Jiangsu Province.